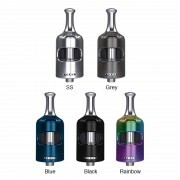 Aspire Zelos 50W 2.0 Kit includes Aspire Zelos 50W Mod and Aspire Nautilus 2S Tank. 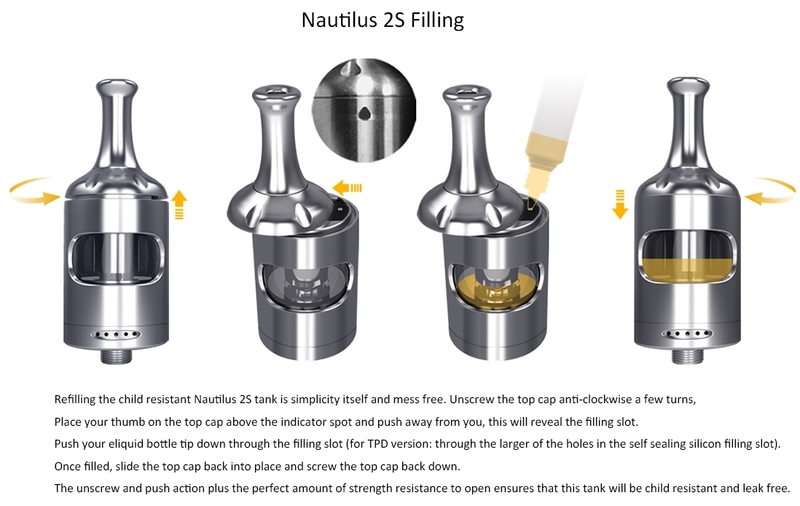 The Nautilus 2S tank has 2.6ml e-liquid capacity. 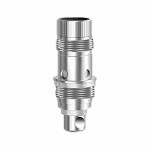 It can work with 0.4ohm BVC coil for direct to lung vaping and 1.8ohm BVC coil for mouth to lung vaping. 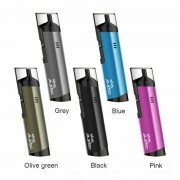 It adopts top-fill child resistant design with a silicone self seal to keep things clean. 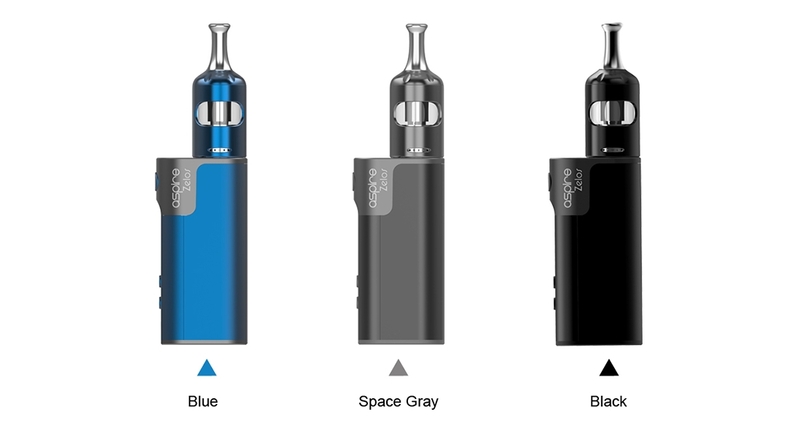 The Zelos is a long standing, reliable, compact and ergonomic mod, which is powered by 2500mAh built-in battery with 50W max output. 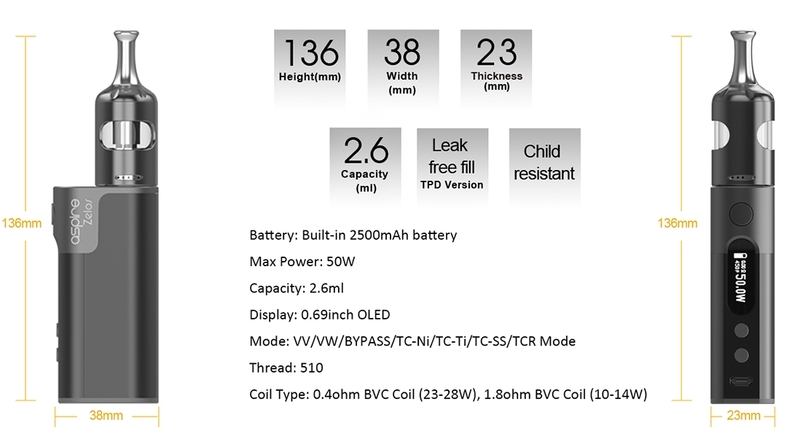 Equipped with a 0.69inch OLED screen, it can display all essential parameters. 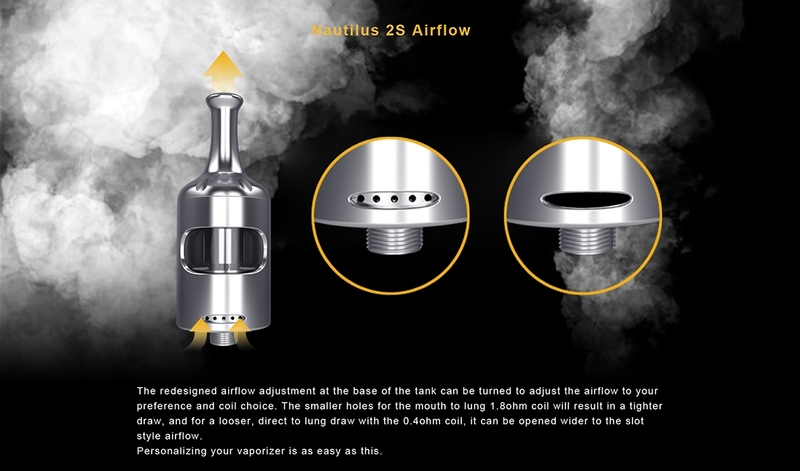 It also supports VV, VW, Bypass and TC modes, satisfying your different vaping experience. A. 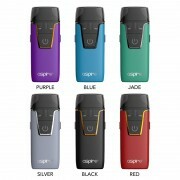 How to charge Aspire Zelos 50W Mod? 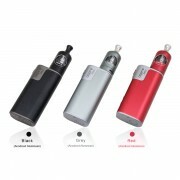 Simply charge Aspire Zelos 50W Mod by connecting it with a computer, a power bank, a wall adapter or other electronic devices (with a USB port that is capable of providing a charge) via USB cable, also you can purchase an inexpensive USB car adapter, thereby affording you the ability to charge the Aspire Zelos 50W Mod in the car. This is particularly useful while you are on long drives and road trips. 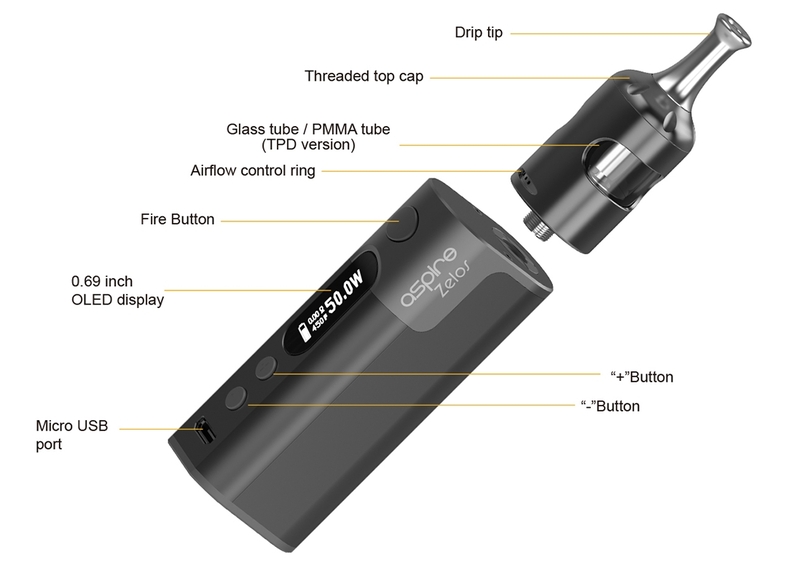 ❤ Please read the user manual carefully before using this Aspire Zelos 50W 2.0 TC Kit. 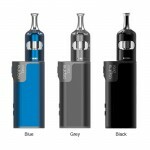 ☞ 6 months warranty period for Aspire Zelos 50W 2.0 TC Kit.